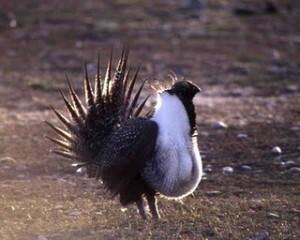 Environmentalists are running around like Chicken Little screaming the sky is falling since the Trump administration released its final plan Friday to protect the Greater Sage Grouse. The horror is not exactly specified, it never is, what’s interesting is that changes on how energy companies operate were actually asked for by Democrat and Republican governors in the affected states. And, locals have more control. It’s funny how the greenies shun local control, when what they really wanted was a ban on energy, mining and grazing. Oregon’s governor even praised the plan for putting more emphasis on active conservation and land management. Still, Greenies are mad and plan to challenge the land rules in court, because they want all humans and human activities eliminated from public lands designated as possible habitat for the bird across 11 states.